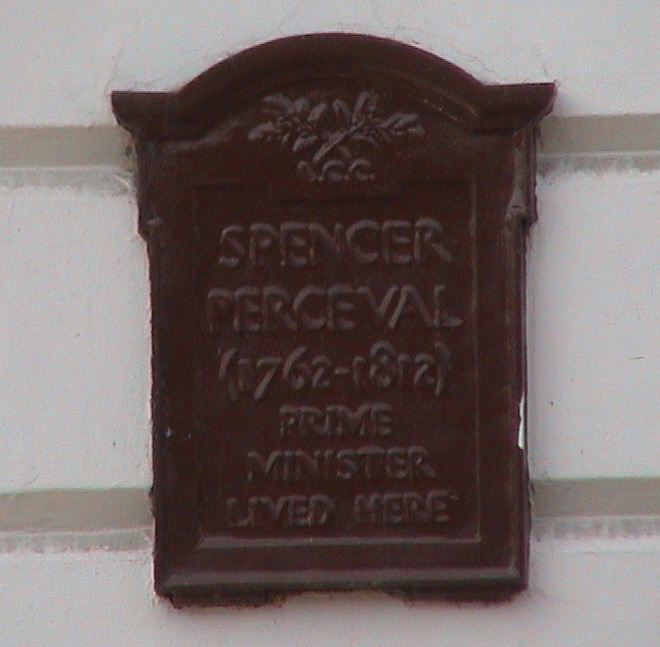 Spencer Perceval (1762 - 1812) Prime Minister, lived here. This was London's first garden square. 59-60 were probably designed by Inigo Jones in about 1630-40. The house next door, number 57-58 is where Tulkinghorn lived, lawyer in Dickens' Bleak House. 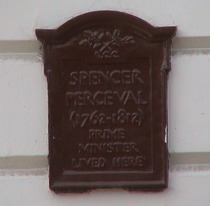 Dickens is known to have visited number 58.